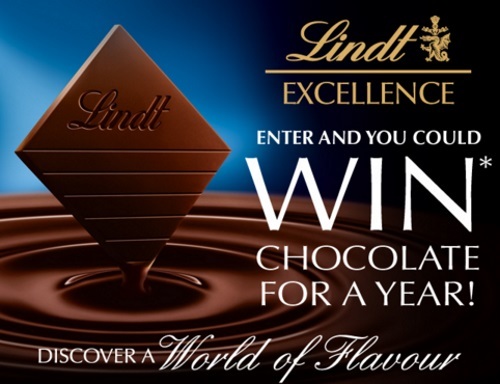 Lindt Excellence is giving away 10 prizes of Free Chocolate for a Year! Enter at the link below for your chance! Contest closes June 9, 2016. Limit 1 entry per household.